Three months ago I woke up with blurry vision in my right eye. It took 3 weeks to get an appt. with my eye doctor. He then wanted me to put drops in my eyes for two weeks and then see a retina specialist. I had an appt with a retina specialist 5 weeks ago. His diagnosis was wet macula degeneration and gave me an injection of Avastin. He did not explain anything to me at all about macular degeneration or Avastin, treatments, time frames, etc....but said that my vision should improve in 7 days. He said come back in one month for another injection, then three months after that and he would check my eye for any further blood vessel leakage. My vision did not improve at all. I just had my second appt. and second injection of Avastin. The retina specialist did not respond to my comment about there being no improvement as he said. I asked him about a corrective lens or other aid so that I could see better in the time being. He did not offer any suggestions. Instead he said come back in another month (not three months as he said before) and that he promised that my vision would improve. This time he did not include any time frame with his comment. So, as of right now I am skeptical of this doctors comments and lack of comments or information. He has not offered any information about wet macular deterioration or given me any information about prognosis, any time frame for future treatments; i.e.. how many, how long. The first rule of being treated by someone who only practices throughout their entire career: Be proactive. If you can afford it, get more than one opinion. Do the research. I have classic wet AMD in both eyes. It's quite, or was quite, agressive. I don't take anything my doctor say for granted. I research it myself. Sometimes there's much information. The treatments for classic/occult AMD are just too new. I've been in a study program sponsored by Glaxosmithkline using pazopanib drops (Votrient is the trade name) and Lucentis injections. It seems to be helping, but it's still hard to quantify. One gets used to the condition. The fluid levels are down according to the scans, anyway. Don't give up hope, either. Despair is normal, but don't let it take over. New treatments are coming along all the time. This pazopanib, when it's available, may very well be the new wave of treatment for wet AMD. I think it is extremely important that you schedule an appointment with another retina specialist. Your family doctor should be able to give you the name of someone. Then check his credentials on the internet. If your pleased with his background, make an appointment immediately. A doctor should answer all of your questions and explain fully your condition. I am female, 70 years old, retired many years, and avid gardener. On one afternoon in September, 2010, I came in from working in the garden seeing a bright patch in my right eye. I thought it was because I had stared at the sun inadvertently, or perhaps it was the image of the kitchen light, but a few minutes later it was still there. It stayed there. I could see it, eyes shut or open, but it was transparent, my vision was still okay. Finally after 2 weeks with the glowing patch-alternately red or green (depending on whether my eyes were open or closed)I made an appointment with an opthalomist. After umpteen tests, he concluded it was wet macular degeneration, and sent me to a retina specialist. At my first appointment the specialist confirmed the diagnosis, and I agreed to have injections once a month, in October, November, and December. After the first injection I thought it was getting better, there was no blindness, and I could read fine. Lines were fairly straight, according to the grid I was given. But then the wavy lines got worse,reading was more difficult, and it was harder to see the notes of the music I singing in church. There was a small blotted out area on the left part of the macula, blotting out faces and parts of the grid. After the third injection the blotted out area has lightened, and I have learned to ignore the wavy lines by adjusting my focus somehow. The specialist is encouraged because my right eye has stayed between 20/40 and 20/50, and my left eye, diagnosed with very minor dry MD, has stayed 20/20. I have been applying drops for 4 days after each injection, and taking an AREDS supplement twice daily. He has set my next appointment for 6 weeks. My question is why I got the wet AMD at all; my diet I thought was pretty good; I had been eating most of the AMD recommended foods, weekly, for years. Looking for answers, I wondered about an episode that occurred on the early morning of June 30, 2010. I had passed out at my outside back door, fell, hit my head on the sidewalk. I was taken to ER, and while there my heart stopped 4 times, so the doctor put in a pacemaker. I regained consciousness that afternoon and after 3 more days in hospital I went home. I had no after effects except a slight headache and dizziness. I wonder if the MD is related to that episode? Or is it just old age? I had a sudden onset of wet macualr degeneration. Woke up one morning to loss of sight in my left eye. I had had no previous warning of anything wrong. I have had 14 Lucentis injections to date for this problem. After the first one I recovered most of my vision. I have just had wet macular degeneration diagnosed in my right eye as well, and am starting a course of treatment for this. I am a white European with blusunraye eyes, aged 70,female. I experienced the onset of this disease much earlier than most people. I had my first diagnosis at 43. It started with distorted and wavy vision. I was lucky enough to get a doctor that used the newest technology. I began receiving monthly injections of Avastin. The results were incredible. I was able to recover the majority of my vision, but due to some scarring, I still had some loss. After several treatments, he pronounced me cured and wished me well. Within 3 days I had another attack that had taken away almost all of the vision in my left eye. My vision was so poor that it was rated as "fingers at 2 feet" meaning that was all I was able to make out. I resumed Avastin treatments and have improved to 20-60, but have now begun experiencing bleeding in my right eye as well. I am now on Avastin therapy full time, and although the shots can be very unpleasant and painful, the results are incredible. I know that my prognosis for the long haul may not be that great, but with new research and continuing Avastin treatments, I believe I will be able to retain productive vision for years to come. To anyone else in the same boat, hang in there. The shots will prolong your vision for many years to come. Just wondering how you are doing.. How are your treatments going? Have you had any permanent side effects? Last Spring I went for my regular eye exam. My doctor noticed dry MD in both eyes. She told me to watch for changes and sent me home with an Amsler grid. She told me that dry MD can remain dry for years, but to watch for changes in my vision. A month or so later I saw my doctor at church and told her that I thought I saw some changes. She said I could come back in to the office for her to re-check me but I was probably fine. I was photographing a wedding this summer and noticed that I had difficulty using my right eye to focus. It was an excessively hot and exhausting day so I just figured that was the issue. I decided this fall after going back to teaching school and having more difficulty reading texts that I should have things checked out. I went to the local ophthamologist on Tuesday, Dec 21st who sent me directly to a retinal specialist on Thursday, Dec 23. They did all of the testing and told me that I have wet MD in my right eye and dry MD in the left. They began shots of Avastin that day. I realize that I do have a family history - grandmother and uncles - but no one in my family has been diagnosed by their 40s. I am so thankful there are current treatments, but have some trepidation as to how long the vision loss can be held at bay with these treatments. Just trying to take things one step at a time! I agree completely with your comments. I was diagnosed with wet macular degeneration at age 50, (5 years ago) in my left eye. I went through the treatment plan, (Lucentis) as prescribed and saw vast improvement. This disease is so tricky that it can sneak up on you without your realizing it. My last treatment with Lucentis was in August 2008. I have been back to the Doctor this month after noticing some distortion in my right eye, (October 2010) to find that because I had waited so long, (mostly due to fear), that the central vision in my left eye is gone and I have developed leaks in the right eye. I beg anyone out there not to be afraid of the treatment as I was, and save your precious eyesight. If you have anxiety issues see your Medical Doctor for help for help before treatments, but do get the treatments. Think of the things that you will miss; seeing your loved ones faces; being dependent on someone else for a lot of things that hurt your pride; losing your independence; losing your drivers license; the list can go on and on. My best wishes to all wet AMD patients out there and I hope you find a Doctor as good as Dr. George Bertelucci with the California Eye Institute in Fresno, CA. Doug,...I am writing an article on eye problems and would like to use your comments, if I may. If you are willing pls email me at yatescreative at gmail dot com. Early Onset AMD, Wet Type. I am a 46 year old physician, in otherwise excellent health. I have blue eyes, and I am of Northern European descent. My father and paternal Grandmother have/had AMD. They are of German ancestry. About 10 years ago, I noticed some blurriness in my central vision, right eye, that resolved over the course of a few days. I saw an ophthalmologist, and had a normal exam. In 2007, I saw another ophthalmologist for a routine visit. He noted some hyperpigmentation changes in both macula. My exam was otherwise normal. I recently noticed some visual distortion in my right eye, although I am still correctable to 20/20. Text appears slightly washed out in my central vision. When I open and close my right eye rapidly, facing a white wall or blank monitor, I see a central grey area when first opening my eye, that rapidly fades away. This area corresponds in size and shape to the central vision distortion. Text also appears to dip about 1-2 mm centrally. My physical/eye exam was said to be similar to 2007. I was referred to a retina specialist. He also noted drusen bilaterally. I had an optical coherence tomography (OCT) that showed some macular atrophy and abnormal fluid on the Rt. Although not technically AMD, because of my age, that is basically what I have. I had my first intravitreal treatment on Thursday. Mike, I am not an ophthalmologist, but I don't think Drusen are reversible. I would humbly suggest that you, if you have not done so already, establish a relationship with a retinal specialist, and inquire as the need for a baseline OCT, to better evaluate any future changes. While this may not be relevant for current care regimens, it may be of value for future treatment decisions, as new therapies continue to come on line. In short, I think I have had my disease/maculopathy for at least 10 years. I still have 20/20 vision, and treatments continue to improve. Anyone afflicted is fortunate, in the sense that the disease is so common. A tremendous amount of effort and resources are being directed at the problem. I hope this helped someone. Comments for Early Onset AMD, Wet Type. Best of luck to you. Though you are not a retina specialist, your advice to Mike is...perfect. If I can help in any way, please feel free to reach out. Thank you, very much, for your comments, Dr. Wong. I agree with your "waste basket" characterization. I think the group of disorders currently characterized as AMD are all disorders resulting in choroidal neovascularization, of unknown etiology, and therefore, idiopathic. Over the course of time, we will undoubtedly learn that some are the result of disorders resulting in a predisposition to oxidative stress, some are impairment of coping with oxidative stress, and some have an entirely different mechanism. 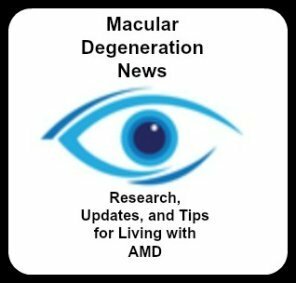 Macular degeneration is probably a large "waste basket" term for many diseases that look, and behave, similarly. While you (Mike?) do not have typical macular degeneration, you may have "idiopathic" choroidal neovascularization (presuming why you had the intravitreal injection). The treatment would be the same with or without the AMD diagnosis. Drusen, are not necessarily reversible, but are known to regress; that is, they may disappear. Drusen are not associated with a particular stage of the disease, but can be risk factors for the development of choroidal neovascularization.